MORE than 40 projects offering emergency relief and spiritual support to people in Syria have just been approved by Catholic charity Aid to the Church in Need. The £2.65 million (€3 million) programme being rolled out in the capital Damascus, Aleppo and other major centres, comes as people desperately try to stave off hunger, homelessness and illness. Church leaders say the crisis has been made worse by the West’s economic sanctions against Syria, with Maronite Archbishop Joseph Tobji of Aleppo claiming the embargos are “killing the Syrian people in the same way the weapons are”. ALEPPO: Basic food, sanitary items such as toothbrushes and washing powder for neediest families supported by ACN project partner Sister Annie Demerjian and her nine volunteers. DAMASCUS: Payment of school fees for 1,270 students at the Al Riaya School run by the Sisters of Saint Jeanne Antide. ALEPPO: Six months’ supply of food baskets for 3,280 families supported by the Syriac Catholic Archdiocese. HAMA, HOMS and YABROUD: Basic medicine for elderly people, orphans and handicapped people. HOMS: Repair of 97 homes for families wanting to return to the Old City. HOMS, HAMA and YABROUD: Mass stipends for priests ministering to displaced communities. ALEPPO: Retreat and summer camp in August 2018 for 70 young people aged 18-25. LATAKIA: 2,000 copies of books on Christianity (catechisms). ALEPPO: Repair of Maronite Cathedral whose nave was hit by a bomb. Father Andrzej Halemba, ACN Middle East projects coordinator, said the programme prioritised young people and went on to describe projects supporting 1,215 school pupils in Homs as well as 437 university students in the city. Underlining the need for help, Archbishop Tobji addressed the European Parliament in Brussels last month and warned of the impact of the West’s sanctions against Syria. He said: “Why do the children and sick people have to die just for lack of medicines? The archbishop warned that migration had reduced Syria’s Christian population to a third of its pre-2011 total, with estimates now indicating it is now below 500,000. 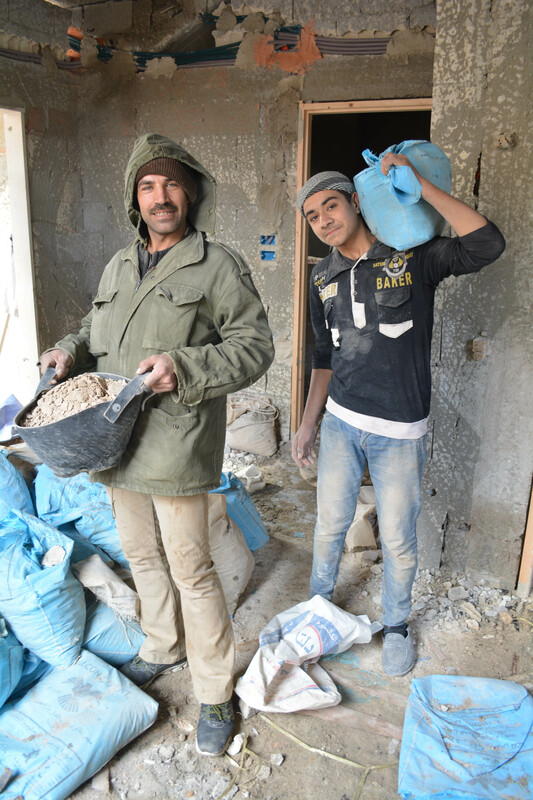 Father Halemba said ACN’s Syrian aid programme addresses the migration crisis, creating opportunities for Christians to stay, providing them with all-important food, homes, schooling and medicine as well as pastoral support. Archbishop Tobji stressed the role of Syria’s Christians as a “cultural bridge” between East and West.